Early on (in the 60’s and maybe even before), many countries and companies realized the need for a consistent way of communicating the hazards associated with their products. These hazards may include physical hazards, such as flammability, explosivity, and corrosivity, health hazards, such as acute and chronic toxicity, carcinogenicity, and reproductive toxicity, and aquatic hazards. The problem was two-fold as there was not a consistent method of classifying hazards from country to country and there was not a consistent format for presentation of the hazard information on product labels and Material Safety Data Sheets (MSDS — now called simply Safety Data Sheets). At the time, there were many different, incompatible methods of classifying the hazards of a substance or mixture. For example, when classifying acute health hazards, a substance might be classified as “Highly Toxic”, “Toxicity Category I”, or “Hazard Category 4” in the US depending upon the agency doing the classifying, or “Very Toxic, WHMIS Class D, Division 1, Subdivision A” in Canada, or “Extremely Toxic” in Mexico. There were many different methods for classification as well as no total agreement as to when a substance needed to be classified as a hazard at all in some cases. Early MSDS documents had anywhere from 8 to 16 (or more) sections without a standardized structure or order for the information presented. 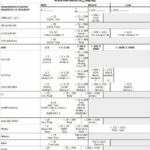 The ANSI Standard MSDS Format (ANSI Z400.1-1993), introduced in 1993, was a big step forward towards standardizing the presentation of hazards for products in a sixteen section MSDS with defined section headers and suggested content for each section. This was quickly adopted by many companies who saw this as a great step forward towards eventual standardization. Of course, this adoption was voluntary in the US, as the Occupational Health and Safety Administration (OSHA) did not mandate a specific format for compliance with their Hazard Communication Standard (HCS) regulation. Their regulation just set a “performance standard” which left it up to the individual company to provide a document format that met the requirements of the regulation. In the European Union, the Dangerous Preparations Directive (DPD) (1999/45/EC) introduced in 1999 codified a classification and labelling method using standardized Risk and Safety Phrases, hazard categories, and hazard symbols. This greatly streamlined the communication of hazards of a product in a concise manner, which was an essential requirement where you must communicate hazards in many different languages, sometimes simultaneously on the same document. The path towards hazardous standardization received a great boost at the United Nations Earth Summit held in Rio de Janeiro in 1992 where they generated an international mandate to create “a globally harmonized hazard classification and compatible labelling system, including material safety data sheets and easily understandable symbols”. This was key in the effort to reduce barriers to trade caused by inconsistent classification and labelling of products and the need to re-classify and label products for each market individually. This recommendation was eventually acted upon and a system was developed by the UN and formally adopted by the UN in December 2002. 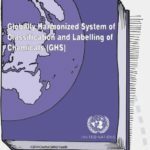 The outcome of this is the UN Globally Harmonized System of Classification and Labelling of Chemicals, better known as GHS. This system was published in a document universally known as the “Purple Book”. Since the introduction of GHS, there has been widespread adoption of its methods and procedures in many countries. In the EU, GHS was adopted in their Classification, Labelling, and Packaging of Substances and Mixtures (CLP) regulation in 2008. In the US, GHS was adopted in 2012 with the updated Hazard Communication Standard (HCS) regulation, now simply called HCS 2012. These regulations are now in-force in the EU and US and many other countries.